Here is a link to a very interesting series of photographs with World Champion Mikhail Tal and FM Isay Golyak. When the page loads, click on Google Translate to read the page in English. FM Isay Golyak (left) and World Champion Mikhail Tal, circa 1960's. 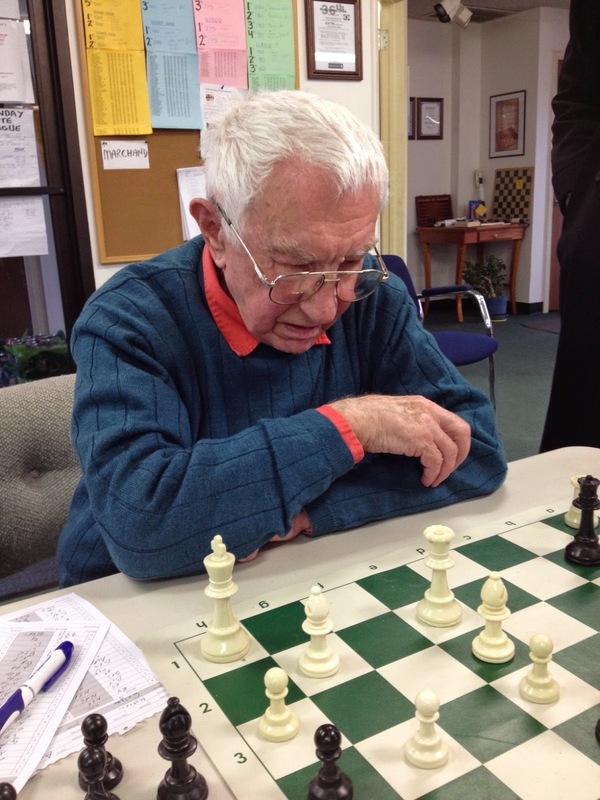 FM Isay Golyak playing today (April 26, 2014) at the Rochester Chess Center. 1st Place: Jack Olander (trophy winner) with 2 points. 2nd Place: Sathya Mandava with 1 point. 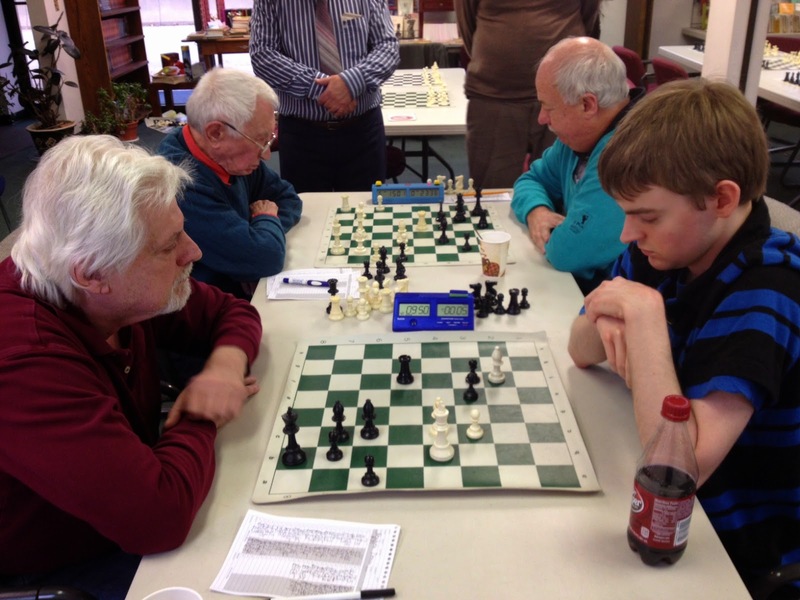 Jack Olander (left) won the chess tournament today at the Rochester Chess Center's Youth tournament. Sathya Mandava (right) took second place. 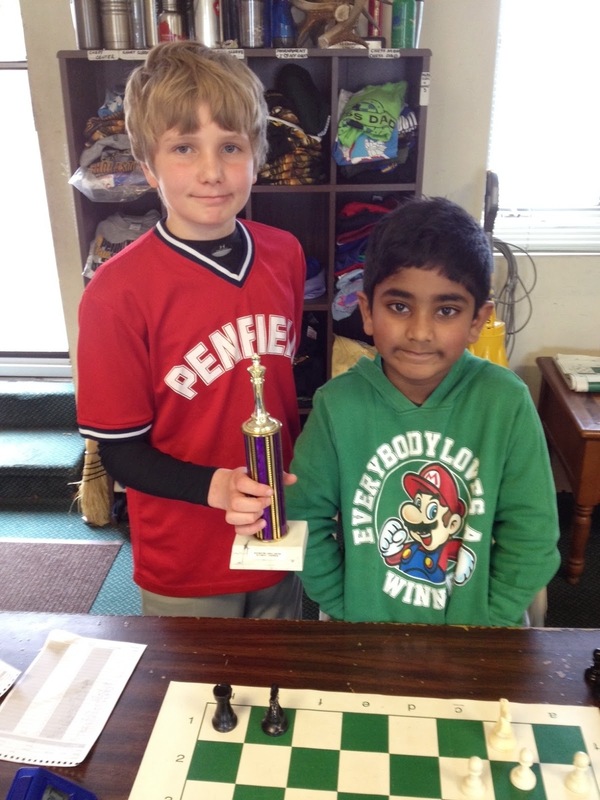 Round 1: Jacob Chen (left) won his game with Pranav Senthil Kumar. 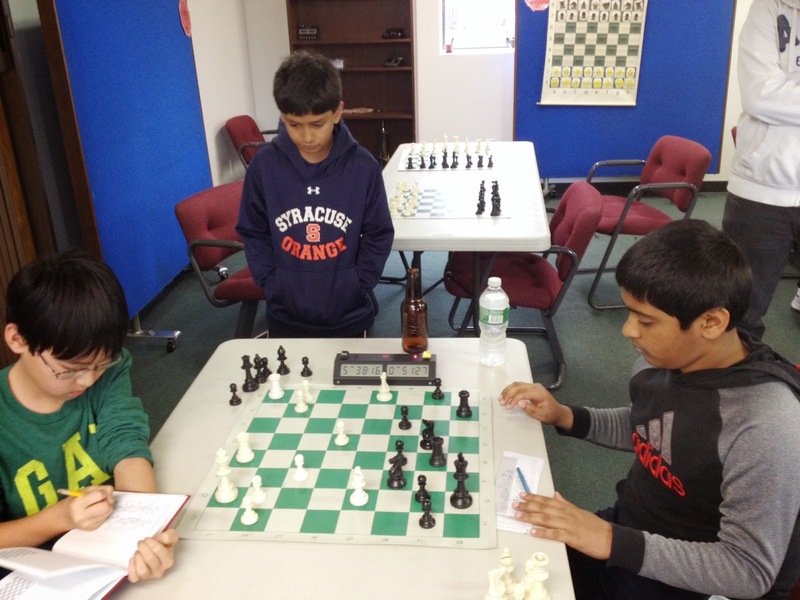 Arjun Patel analyzes the chess position in the background. Round 2: Richard Motroni (front left) won his game with Reuben Donar. FM Isay Golyak (rear left) drew his game with Doug Spencer. 1st Place: Justin Regner (trophy winner) with four points. 2nd Place: Eric Liu, Jason Niu, and Toby Thompson with 3 points each. 3rd Place: Jade Regner, Michael Niu, Thomas Kwon and Blake Liu with 2 points each. 4th Place: Rick Zhou, Keefer Zhou, and Matt Willard with 1 point each. 1st Place: Franklin Jones (trophy winner), and Thomas Kwon both with perfect scores. 2nd Place: Ben Buyer with 4 points. 3rd Place: Daniel Saedi with 3 points. 4th Place: Josiah Lowtan with 2 1/2 points. 5th Place: Kai Patrone, Kameron Torrey, Alex Glase, Alex Ignatovets, Brennan Lyon and Sathya Mandava with 2 points each. 6th Place: Vlad Bondar and Ben Kasap with 1 1/2 points each. 7th Place: Tim Buonaugroio, Tucker Seablom, and Nathan Seablom with 1 point each.